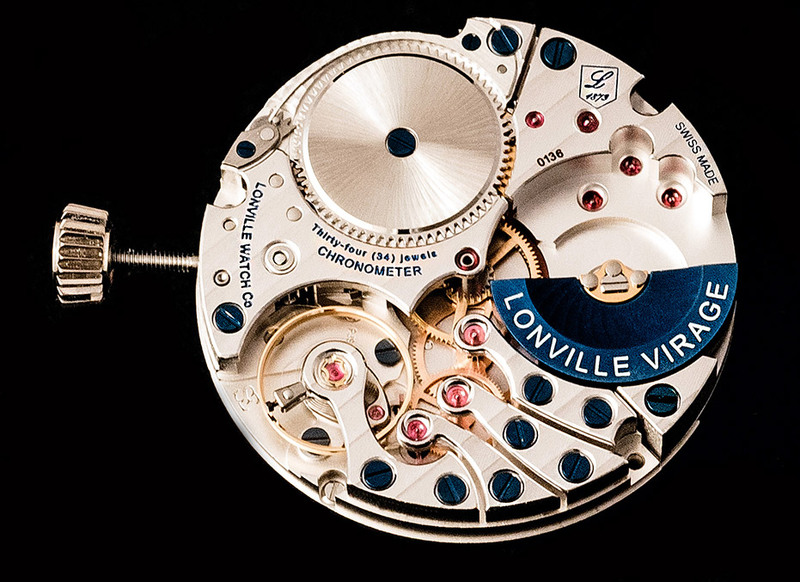 Micro Rotor magic - What is happening in the world of Lonville? Virage is powered by the gorgeous LV1 (Lonville 1) movement that exists in a manual two-barrel version, and in this spectacular micro-rotor execution. What makes a micro-rotor movement so special, in our view, is the fact that the rotor sits within the movement and not above the movement. This construction offers an unprecedented 3D view of the movement, where nothing is covered or out of sight. This effect is further enhanced by our choice to use six seperate bridges, all with polished chamfered edges. LV1 has been in the making for seven years. This has been a very challenging journey and a true learning experience for the Lonville team and our suppliers. The watch industry is not always kind to those wearing pink glasses. Still, passion and determination has taken us to this incredible stage. The movement has been entirely designed and constructed in La-Chaux-de-Fonds in the Swiss watch making valley. It follows our passionate believe in building ‘all swiss’ watches. Once completed, each single movement is tested by COSC (the independent Swiss Chronometer Institute) for accuracy. Virage owners will receive this individual COSC certificate with their watch. We are immensely proud of this movement and it perfectly complements the style, elegance and substance of our white gold Virage, and most importantly, it has allowed us to achieve our dream of creating incredible watches for real enthusiasts. And with just 18 pieces of each Virage model being constructed, our dream will become your dream. A truly special watch.